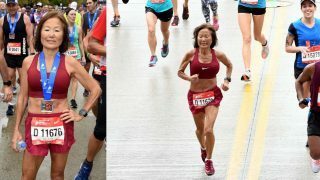 A late-bloomer in the competitive sports scene, Sarah started off as a soccer player and took up competitive running for the adrenaline rush, fitness and passion. 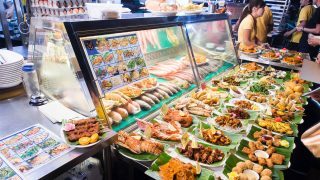 Wanting to push her limits, she began training with NUS Aquathlon team and is looking into transition to triathlons, in which she aspires to complete an Ironman. 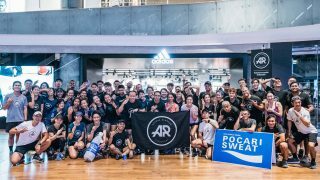 In addition to running, Sarah would like to take Singapore's running scene to another level - contributing to the running community through her sharing of experiences. SAFRA Singapore Bay Run & Army Half Marathon 2014: Together We Ran and Heard Our Army Boys ROAR! 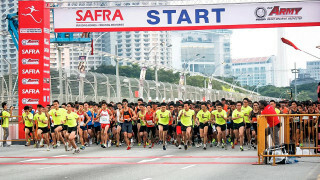 Since the SAFRA Singapore Bay Run & Army Half-Marathon (SBR & AHM) launched in 1992, this 23rd edition of the run remains a key race in many Singaporean runners’ calendars, especially National Service (NS) men taking part with their units or family members. X-BIONIC® Venus Run 2014: What diamonds? Running is MY BEST FRIEND! 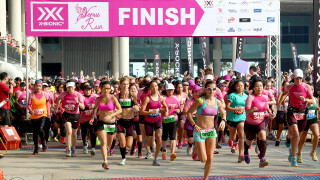 2014 marks the third edition of the VENUS RUN, a women-only 5km race, which was also held in conjunction with International Women’s Day on 8 March 2014. 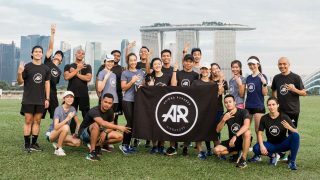 This year’s edition was by far the largest, with close to 5,000 participants and Swiss premium sports apparel sponsor, X-BIONIC, with a S$2 million sponsorship deal. 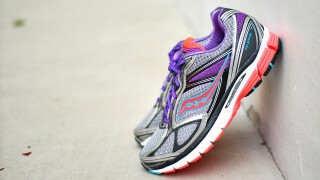 Saucony Guide 7 Keeps You Going On! Being a runner for about 8 years and counting, I have experimented with different kinds of brands and designs of shoes. As I competed more, I tend to favour neutral shoes which had thin soles and lining with minimal cushioning that allowed me to feel airy and light while running. It is not every day we witness a girl’s journey from the TAF Club to winning athletic competitions. Coming from a not-so-active lifestyle, Sarah originally took up recreational running around 8 years ago to keep fit. 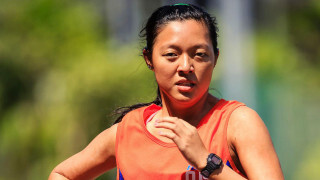 Being encouraged by her weight loss and craving a challenge, Sarah decided to race competitively by joining the NUS Cross Country team, competing in the IVP (Intervarsity-Polytechnic) Track & Field Championships and SUNIG (Singapore University Games) Cross Country.